This Holiday season get festive with beautiful gift tag designs and DIY ideas. This Printable Holiday Collection comes with eight pages of red, black and white tags with ideas and directions for DIY gift giving and home decor. 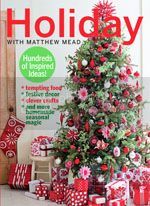 Featured in Holiday with Matthew Mead! Once you purchase, an email will be sent to you with a link to download the files. All files are 8.5″x 11″ and meant to be printed and trimmed yourself. These files are yours to keep and print as many times as you like. Colors may vary depending on your printer. Don’t have a printer? Just email the files to your local quick print shop like FedEx Office. Photography by Amy at Living Locurto.